Saratoga Springs, NY – Fifty-five deputy sheriffs and civilian staff working in the civil law enforcement divisions from 40 sheriff’s offices around the state attended a continuing training program at the Gideon Putnam Hotel in Saratoga Springs. Oswego County Sergeant Allen Goodsell (left) upon completion of the Civil Supervisors’ Training Program with New York State Sheriffs’ Association President and Putnam County Sheriff Don Smith (right). All sheriffs have civil law enforcement functions, which include the service of process and enforcement of judgments and other court orders and mandates. Sponsored and organized by the New York State Sheriffs’ Association Institute and the New York State Sheriffs’ Association, the program provides individuals working in sheriffs’ civil law enforcement divisions with training in the latest advances in civil law enforcement and practices and a forum to discuss current civil law enforcement issues and share best practices. The New York State Sheriffs’ Association Institute, Inc. was established in 1979. The mission of the Institute is to assist the office of the sheriff in advancing education in the criminal justice community, preventing juvenile delinquency, developing lawful and productive citizens, and supporting victims of crime and their families. It provides the only statewide training program for civil law enforcement deputies, always done without charge to any sheriff’s civil personnel. 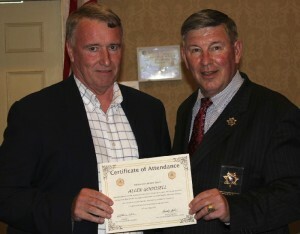 Visit www.nysheriffsinstitute.org.